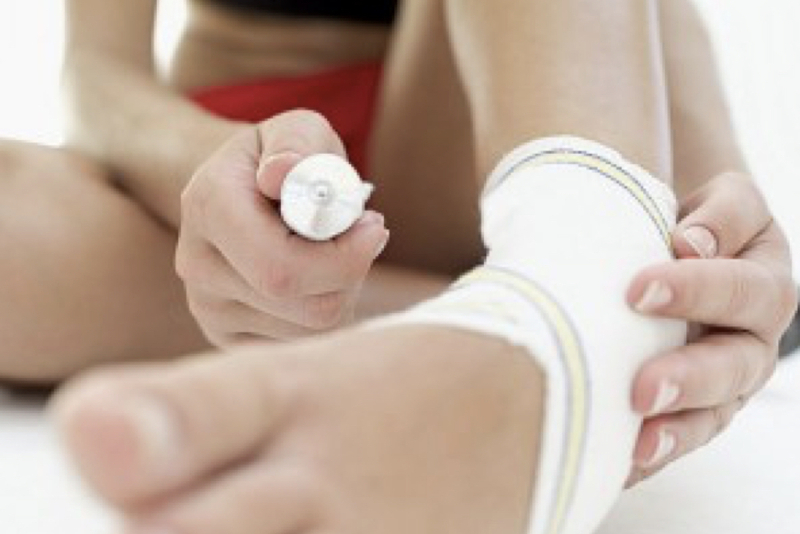 Many of us suffer from ankle and foot pain. Find out how we can help you! Many of us suffer from ankle and foot pain. This can be due to a twisted ankle to common problems such as plantar fasciitis, to the pain of wearing high heels. The feet take a great deal of strain every day and through our lives. Pain in this area can be debilitating and greatly affect our ability to live a normal life. Foot and ankle pain can also affect other areas of the body because our “gait” changes(we limp) to help us reduce pain. although the foot and ankle are very complex correct alignment and foot mechanics is essential for pain-free movement. Once the local problem is fixed, we then look at rehabilitation locally and then up to the hips, pelvis and lower back. You may not feel problems in these areas but they should always be checked as a matter of good practice. Another very common injury is Achilles tendon injury which is seen in Athletic sports such as runners and also jumping Sports. The injury typically is described as feeling like you were shot or hit in the back of the leg. Once the local problem is fixed, we then look at rehabilitation locally and then up to the hips, pelvis and also the lower back. You may not feel problems in these areas but they should always be checked as a matter of good practice. Below are just some of the conditions we see in the clinic. If you cannot find your condition, why not give us a call for a chat? Adam and john in NYC discuss Johns foot problems. I treated these guys on a recent trip to the USA.